If you’re looking to build your dream home and want it done right, it pays to build with the best. The second part of that formula is a client guidance system that includes a detailed questionnaire that is completed with each client. The information gleaned from this questionnaire ensures that Huntington’s design team meets a client’s preferences and needs by including all the key features they want in their new home. Once all of the clients’ needs, present and future, have been determined, Huntington’s in-house design team brings the home to life with 3-D CAD technology. 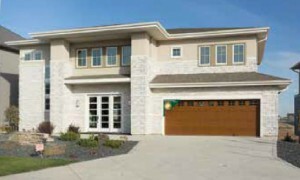 At the same time, Huntington’s staff is committed to making their clients’ homebuilding experience an enjoyable one. What’s the end result of following such a detailed, perfection-driven process? 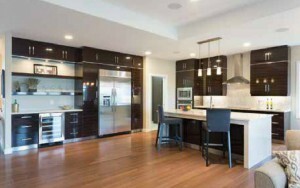 “A beautiful custom-built home that’s tailor-made to their needs, not only now but for the future,” concludes Swan. If you are serious about quality with exclusive content, visit Huntington Homes – the Masters of Modern Luxury. By Todd Lewys. 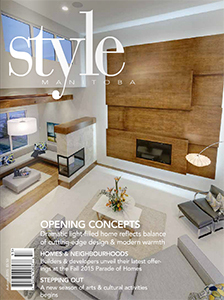 Previously published in Style Manitoba, Autumn 2015.